Consumer Driven Health Plans (CDHPs) in the U.S. experienced continued growth this year - albeit at a slower rate than in 2009 and 2010. 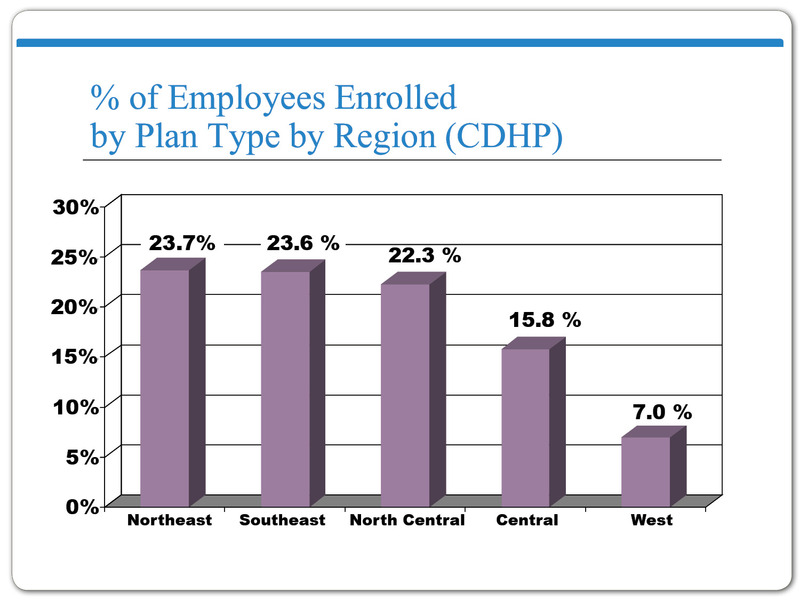 A CDHPs grew at a rate of 13.9 percent this past year (about two-thirds of the 2010 rate) to 22.9 percent of plans offered and cover more employees (17.3 percent) than Health Maintenance Organization (HMO) plans (11.9 percent), according to Bill Stafford, UBA Vice President, Member Services. The Northeast region of the country had the largest concentration of CDHPs (31.3 percent), followed by the Southeast region (27.4 percent). The average cost increase for all CDHPs at 7.6 percent was slightly lower than that of the average of all plan types, which increased 8.2 percent this year. Employers continue to offset the higher out-of-pocket costs of CDHPs by offering employees a health reimbursement arrangement (HRA) or a health savings account (HSA) and contributing funds. The 2011 UBA Health Plan Survey found the average employer contribution to an HRA was $1,656 (up from $1,481 in 2010) for a single employee and $3,198 for a family (up from $2,857 in 2010). 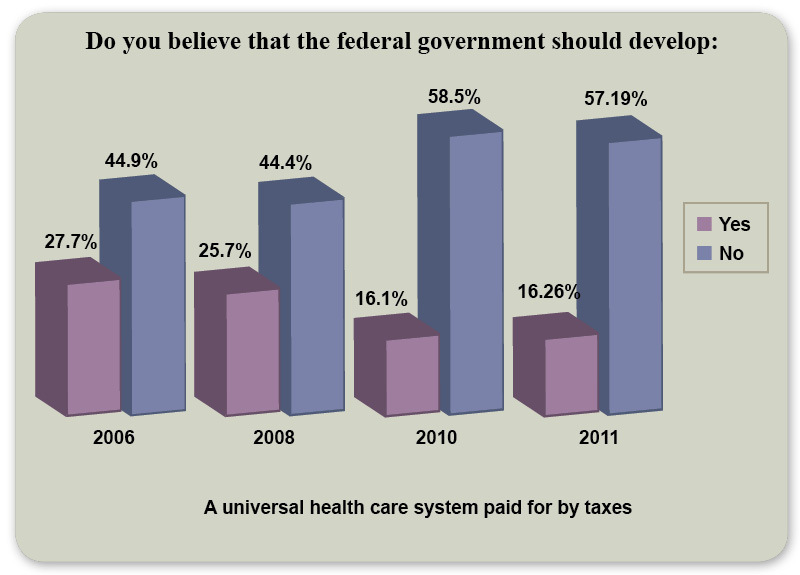 Despite concerns about the impact of rising health care costs on their businesses and employees, only one in six employers (16.3 percent) say they favor a federally tax-funded universal health care system, according to the 2011 UBA Benefit Opinions Survey. This is important for legislators and regulators to recognize as reform solutions are put forth for consideration. This lack of desire by employers to see these programs funded with tax dollars will derail programs that cannot sustain support for funding. A number of themes identified in our last survey conducted in 2010 were dominant again this year, yet some new findings emerged that can be viewed on our national survey page. or by contacting your local UBA Member Firm for more information.